Please note that the blue mark at the top of the image is caused by photography and is not on the map. 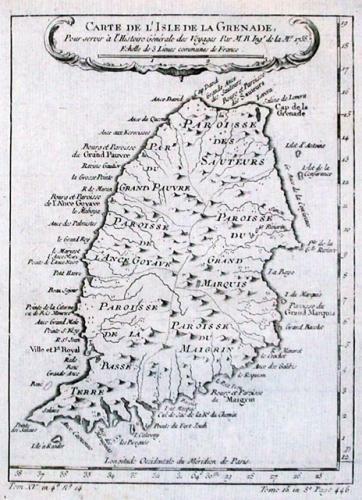 Carte De L'Isle de la Grenade. Pour servir a l'Histoire Generale des Voyages.